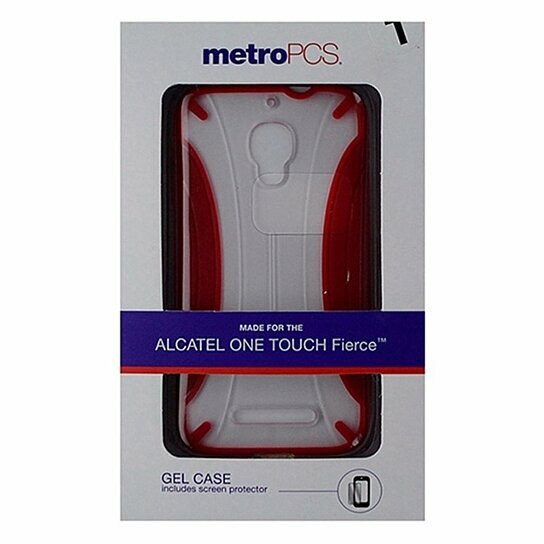 MetroPCS products, Hybrid Designer Shield Case for Alcatel One Touch Evolve. Frosted hardshell backing with a flexible shock absorbing red border. Screen protector included.